The ACL Study Group was formed through serendipity not vision. The success of the ACL SG has been a result of vision and leadership especially by John Bergfeld and Peter Burkart, as well as the intellectual curiosity of the membership. The serendipity - The meeting of the AOSSM was to be at Lake Placid, NY. I was in command of Keller Army Hospital West Point - circa 1967. I thought most folks interested in the ACL would find it possible to stop off in NYC, find their way the 75 miles to West Point, and I would arrange bus transportation from West Point to Lake Placid. The response was better than I had imagined. A great day of discussion at West Point (where we were experiencing 100 ACL's/year) or about 6% of the Cadets ensued, and most of us travelled together to Lake Placid and continued the discussion. A key to the success was when Peter Burkart jumped up and offered to host the next meeting at Zermatt. That accomplished three things: 1. we became international, 2. the concept was exciting, and 3. we were snowed in at Zermatt and the discussions continued uninterrupted. The original concept was management by "benign dictatorship". Bergie bought into that from the very beginning and soon unburdened me from the leadership. For Bergie it was a natural. The ACL SG has succeeded in shrinking our world beyond my imagination and placing us on a common scientific footing. I am grateful to all who have insured this progress and success and especially to John and Peter who took us from serendipity to vision and success. The mission of the ACL Study Group is to advance the art and science of knee soft tissue surgery, rehabilitation, and injury prevention through the exchange of scientific information and debate. 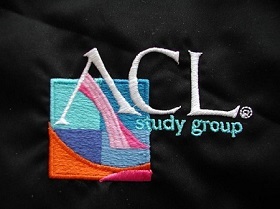 The ACL Study Group is committed to scientific integrity, free of financial or personal conflict of interest.